When a parser encounters an error anywhere in the statement, it ignores the rest of the statement by not processing input from erroneous input to delimiter, such as semi-colon. 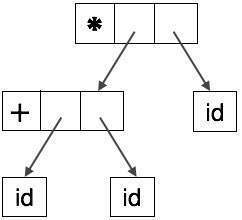 This is the easiest way of error-recovery and also, it prevents the parser from developing infinite loops. When a parser encounters an error, it tries to take corrective measures so that the rest of inputs of statement allow the parser to parse ahead. For example, inserting a missing semicolon, replacing comma with a semicolon etc. Parser designers have to be careful here because one wrong correction may lead to an infinite loop. Some common errors are known to the compiler designers that may occur in the code. In addition, the designers can create augmented grammar to be used, as productions that generate erroneous constructs when these errors are encountered. The parser considers the program in hand as a whole and tries to figure out what the program is intended to do and tries to find out a closest match for it, which is error-free. 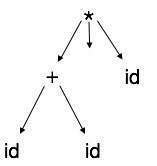 When an erroneous input (statement) X is fed, it creates a parse tree for some closest error-free statement Y. This may allow the parser to make minimal changes in the source code, but due to the complexity (time and space) of this strategy, it has not been implemented in practice yet. ASTs are important data structures in a compiler with least unnecessary information. 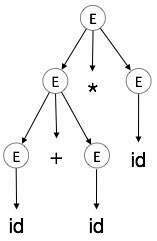 ASTs are more compact than a parse tree and can be easily used by a compiler.